With your home and life becoming more connected every day, it is increasingly important to ensure you get the most of the technology you are investing in. IFTTT lets users automate actions with connected devices and apps to help you get the most out of this new technological frontier. 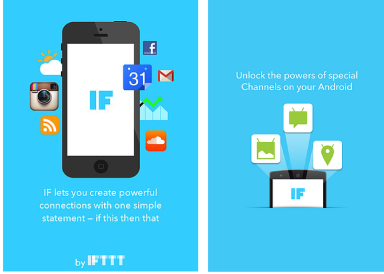 So What is IFTTT Exactly? IFTTT is short for “If this, then that,” and the core building blocks of the service are based around simple cause-and-effect relationships that help you automate your digital life. For example, you can set up a trigger action – the outside temperature rising above a certain thresh hold – that will automatically initiate a secondary action – turning on your air conditioning via Nest. You can even have your garage door open automatically when you arrive home using your smartphones location service and Garageio – a connected garage door opener. As a user, you can write “recipes” that create simple connections between products and apps. There are two-types of recipes – Do and IF. We will discuss IF recipes in this post and Do recipes next week. 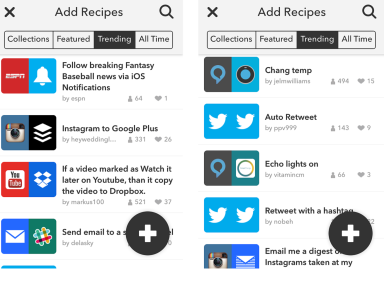 To get started using IF recipes, simply download the free IFTTT app (available for iOS & Android) to your phone. Once the app is downloaded you can connect other apps like Twitter, Facebook and Evernote and devices like Fitbit, Nest and Hue and start building recipes. Getting started with IFTTT can seem daunting. 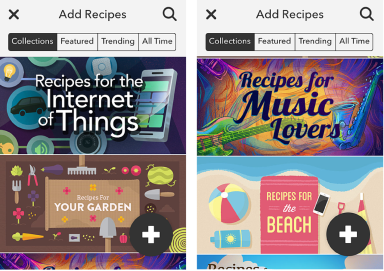 Luckily, the app includes hundreds of recipe collection ideas to get you started. Collections include recipes for baseball fans, online shoppers, small business owners, social media addicts plus many more. The app also features trending recipes including Fitbit Sleep results sent to you via smartphone notification and auto-retweeting tweets you are mentioned in. Once you pick your recipe the app walks you through how to connect the appropriate apps and devices to make the magic happen. Now, sit back, relax and enjoy your more automated life!